Ok, I worked out why I was getting reflections with nothing to be reflected!! The reflection colour MUST be set to near black - but not pure black. Foolishly, I had it set near white with a tint of blue :grrr: that was why the eyes were glowing in appearance. @Chohole - Your son was totally right... Uber Surface base shader really *is* necessary. I'll continue to tweak the parameters. Using Specular and Specular2 as the primary eyeshine. Still playing with the settings. 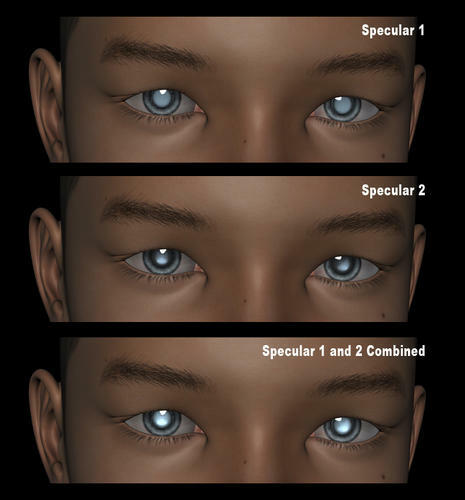 Specular2 is the bright highlights of the eyeshine while Specular1 is a base for the rest of the pupil. Reflection colour is 35 35 35 or about 80% black. Reflection is 20% blur and 60% Strength. Below are three renders, the first is Spec1, second Spec2 and last both specular channels combined. Edit: Combined image comparison below. Oh wow, those look really good. 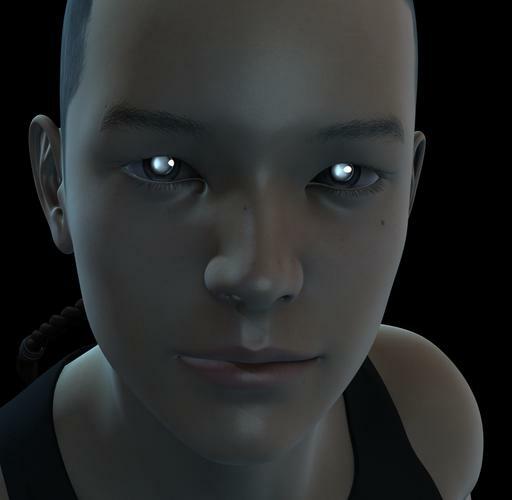 Here is some renders of lighting as it rotates around the face, light is locked on right eye. I did this to check that the specular reflections were behaving. I think I'm getting close now... I'll have to give it a go with the full lighting set as well as some Night lighting. Yes, I would say so. I need to set a character up especially to go any further with my Bryce try, as the one I am using doesn't have enlarged puipils. I tried with a night time lighting setup, and I got a great glow from the pupils, but the Iris didn't react so well. Yeah, I havn't yet tried the FULL Riddick look yet but it will be interesting to give it a go. I'm thinking a 3D Riddick would go well for a Sci-Fi or Halloween render thread! Although the genesis render thread thats going might be a good place too. It's all good now, I realised the specular channel was the key to the reflections, the actual Reflection channel had to be at a low setting with a reasonably black Reflection colour. It was doing my head in at the time, as it was giveing a phantom glow to the pupil without any light or anything to reflect. 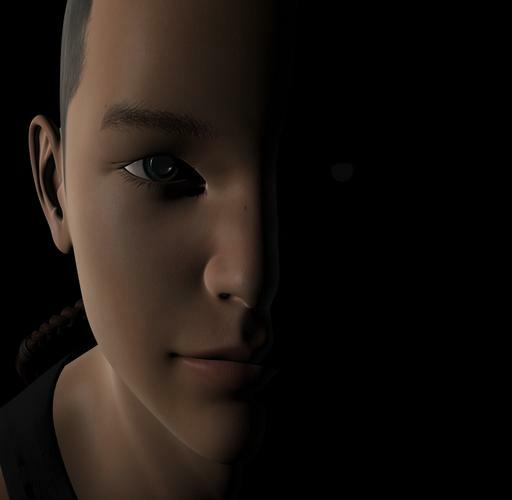 After toying with a Riddick Render I descovered there must be some form of direct lighting... Specular lights are great! If not a 50% Ambient of the desired eyeshine colour covers it. Wow, that's a fantastic render chris! Love the cyclops glowing eye :-) I certainly see what you were talking about, very effective I might add! Yeah, I'm still playing with it atm, It's eventually became more of a multi specular list of parameters. Like in the real world, It's actually rather difficult to light accurately within the full scene... I tried out a Riddick character using similar approach, but the anatomy of Riddicks eye (I've found) is somewhat different to the pupil of a cat like eye. But of course, particularly the first couple of Idea's really re-enforce the Multi Specular material in a full set of lighting... Ambiance Idea definitely helps when necessary! With anyone intending to attempt Riddick eye style, Kendalls Idea for the use on the Pupil and the Iris is definitely the way to go! Yeah I imagine it would! I filled up my desktop screen almost completely with test renders with the eyes I was working on, thats not including the save overrides I did. Here is my first serious render of eyeshine... Took me all night... Just sayin %-P ... There was post work on this render, But I DID NOT touch the eyes. Well, I don't have the eyeshine shader, but my trick was applying Sha's free water shader to the eyes, upping the transparency, fiddling with the specular & ambient values. As I mentioned earlier in this thread, a tutorial of various methods from all the help of everyone during the process and the findings will be written up shortly. @Chrisschell - Yes colours are VERY effective. With most of my learning in this thread, I've been very influenced by Riddick (At least for the Pupil) And I just love the colour blue lol! 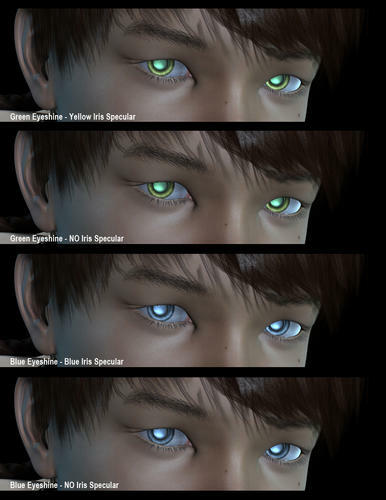 I attached a quick render of green eyeshine, using pretty much the same parameters of the blue eyes... Just changed the spec colours of spec1 and spec2 from pale blue to green. And OF COURSE, the vibrancy of the colours can be altered to suit the environment of the character. Also, in my research into eyeshine, the colour of the eyeshine is often differing between nocturnal species. The most common colours are generally Yellow and Green, much fewer species are Blue. ---------- Generally Red is not 'eyeshine', as it isn't reflected light from the tapetum lucidum layer of tissue, which of course, almost all nocturnal species have. (Humans don't) (See page 4 of thread) The red reflected light is called Red-Eye which is visually distinguished from eyeshine. It also has a different parameters formula (In terms of the 3d world). 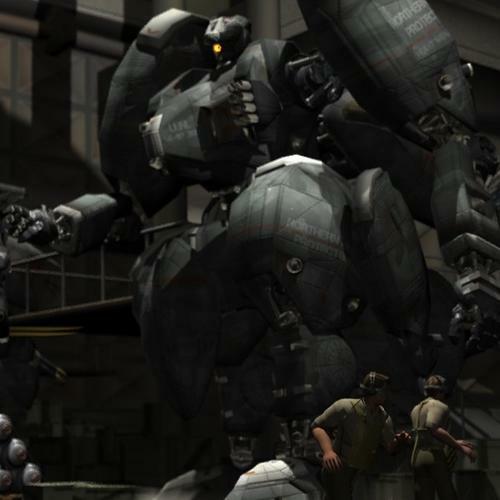 This tutorial is a combination of various Ideas from various members of the Daz Community. (See Acknowledgements). 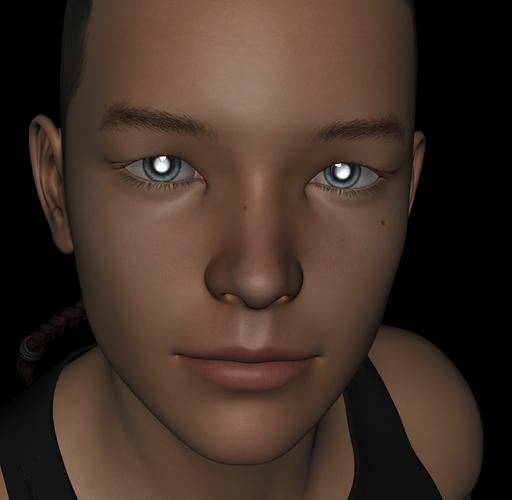 The objective is to create a pupil, iris and cornea material, texture or shader in DAZ 3D, that reacts to light and reflects it with the angle of lighting and the camera in mind. 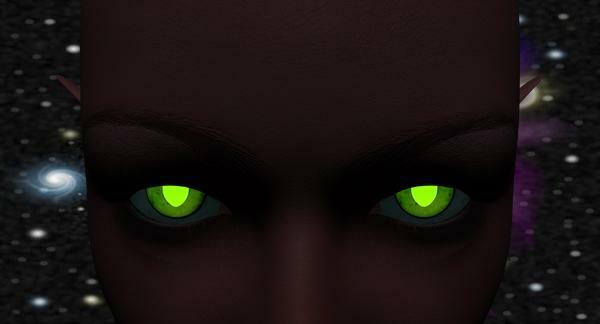 The Idea Is to simulate ‘Eye-shine’ like many of the nocturnal members of the animal kingdom. 1 – Load figure, create and morph to your heart’s content. Apply desired figure Textures and so on. 2 – In the Surfaces (materials parameters) tab, select the Pupil, Iris and Cornea and apply ‘Uber Surface Base’ shader. 3 – Surface Parameters: (Cornea) Glass like properties. 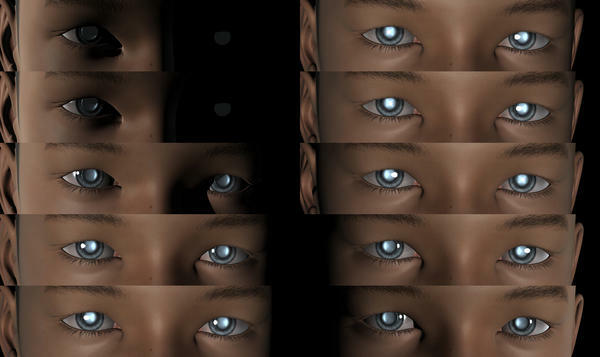 4 – Apply desired diffuse, bump, specular textures to the Iris and Pupil. The cornea, I’ve found really shouldn’t have an opacity map... I found it rather impractical with the effects of the Pupil and Iris. And the ‘imitation’ reflection of light usually never matches the scene anyway. For the sake of this section in the tutorial, I have used a pale-blue coloured eyeshine which can be adjusted in hue and saturation to your desired look and colour. But try to keep the same darkness as the two specular channels are layered and have differing purposes. Ambient Active: Off --- (This can be used on a low setting, but should only be used as a last resort, as under the correct lighting conditions and angle of camera the specular lights up the pupil nicely). Reflection Colour: 35 35 35 ((Must be a dark colour, close to black but not totally black. If it is set on a bright colour the pupil will illuminate even without light to reflect) Reason for having reflections on is because even in poor lighting the nocturnal pupil still has a soft reflection of light). For the sake of this section in the tutorial, I have used a soft-yellow coloured specular which can be adjusted in hue and saturation to your desired look and colour. (Make sure it’s the applicable colour of your Iris texture and that it blends with the chosen colour of your pupils eyeshine). This is not required, but it adds a nice reflective blend between the pupil and the iris. This tutorial has been written and posted for the Daz forums. This tutorial is not to be re-posted on any other website. This tutorial was made for use in Daz Studio 4.5 and Pro, and is purely for tutorial learning purposes. I HAVE NOT LISTED any UN-USED CHANNELS in the Surfaces tab. Special Thanks to the following Daz Members for their resourceful contributions, support and Idea’s on the methods of achieving the contents of this tutorial. AWESOME Tutorial! Thanks so much! True enough... and no mostly red doesn't show up in 'eyeshine' often... though depending on the angle of the eyes it does show up along with the normal greenish shine.. particularly if the eyes are turned downwards... can also be a green-orange or green-yellow depending again on light conditions and angle (I've seen it in my pups eyes at night when we're watching tv even that slight red or orange-ish tint as he looks away and the angle of view changes)... at any rate was just a suggestion... over all great tut and great job! Thanks Chriss! I have noticed it can vary somewhat in colour under different angles. Lighting obviously dramatically influences it. My cat has conveniently been sitting at my computer desk the last few nights, he probably thinks I'm a nutter since I've been staring at his eyes between food and Daz lol But I certainly know what your talking about.